Nyepi Day in Bali is a New Year’s celebration unlike anywhere else and certainly something you should experience, at least once! 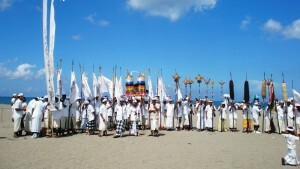 It is a “Day of Silence” celebrated every Isakawarsa (Saka – New Year) according to Balinese calendar. 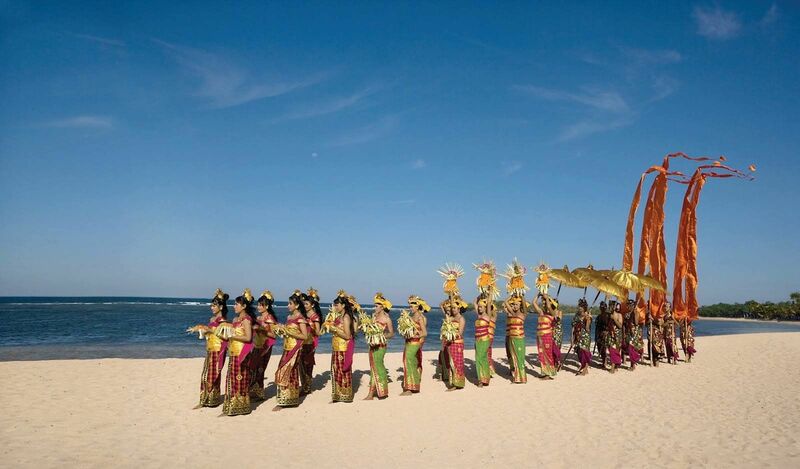 It is a Hindu celebration mainly celebrated in Bali, Indonesia and of course in Nusa Lembongan. It is ultimately the quietest day of the year, when all of its inhabitants abide by a set of local rules that brings all routine activities to a complete halt. The roads all over Bali and Lembongan are void of any traffic and nobody steps outside of his or her home premises. Nyepi is worth experiencing at least once in a lifetime, especially since the preceding and following days are full of rare highlights! Just make sure you are staying somewhere comfortable with space and a breeze for the 24 hours of silence and no electricity! Here is an outline of how each day leading up to Nyepi and Nyepi itself will look in Lembongan! Village meeting halls known as ‘banjar’ and streets feature papier-mâché effigies called ogoh-ogoh, built throughout the weeks leading up to the Saka New Year. Youth groups design and build their mythical figures with intricately shaped and tied bamboo framework before many layers of artwork. Before ‘the silence’, rituals will start to begin three days prior to Nyepi, with colourful processions known as the Melasti pilgrimages. Pilgrims from various village temples all over Lembongan convey heirlooms on long walks towards the coastlines where elaborate purification ceremonies take place. It is one of the best times to capture on camera the iconic Balinese processions in motion, as parasols, banners and small effigies offer a cultural spectacle. The women in particular look spectacular with their makeup and beautiful vivid clothing, and stunning smiles! 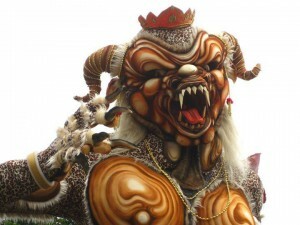 Then on Saka – New Year’s Eve, it is all noise and fun and parties as we get closer to the ogoh ogoh parade! Every Balinese household starts the evening with blessings at the family temple and continues with a ritual called the pengrupukan where each member participates in ‘chasing away’ evil/naughtyforces, known as bhuta kala, from their homes – hitting pots and pans or any other loud instruments along with a fiery bamboo torch. 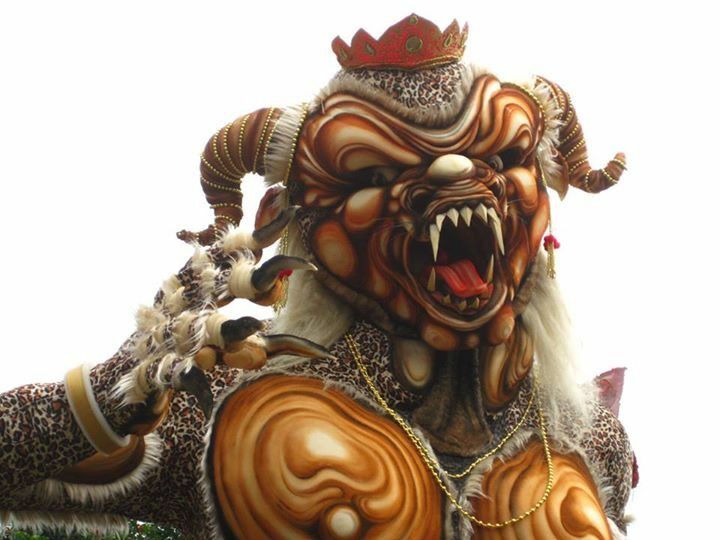 These ‘spirits’ are later manifested as the ogoh-ogoh to be paraded in the streets. As the street parades ensue, bamboo cannons and occasional firecrackers fill the air with flames and smoke. The Nyepi Eve parade usually starts at around 19:00 local time. Such a beautiful parade of the most incredible structures for the ogoh ogoh – the time and energy that people put into creating this is fantastic! Make time in your evening to come to the main street and watch them parading up and down and take some photos, while joining in the fun and merriment with the locals! 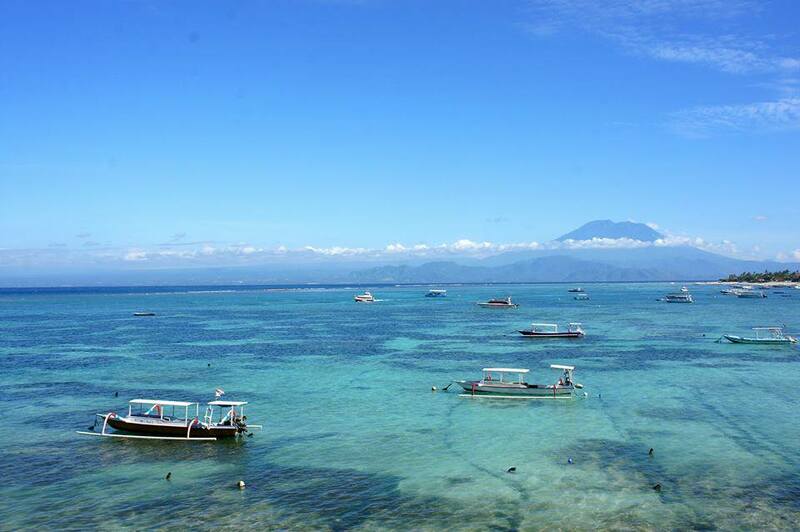 Everything is a little different on Nyepi Day, where complete calm and quiet enshrouds the island. The Balinese Hindus follow a ritual called the Catur Brata Penyepian, roughly the ‘Four Nyepi Prohibitions’. These include amati geni or ‘no fire’, amati lelungan or ‘no travel’, amati karya ‘no activity’, and amati lelanguan ‘no entertainment’. Some consider it a time for total relaxation and contemplation, for others, a chance for Mother Nature to ‘reboot’ herself after 364 days of human pestering. 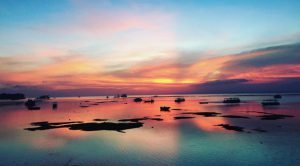 No lights are turned on at night – total darkness and seclusion goes along with this new moon island-wide, from 6:00am to 6:00am. The main restrictions are no lighting fires (and lights must be kept low); no working; no entertainment or pleasure; no traveling; and, for some, no talking or eating at all. The effect of these prohibitions is that Lembongans usually fairly busy streets are empty, there is little or no noise, and few signs of activity are seen even inside homes. Mother Nature enjoying a day of stillness also. No vehicles are allowed on the streets, except ambulances and police patrols and emergencies. As a hotel guest, you are confined to your hotel premises, but free to continue to enjoy the hotel facilities as usual. Traditional community watch patrols or pecalang enforce the rules of Nyepi, patrolling the streets by day and night in shifts. 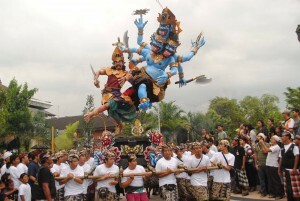 Once every 210 days Bali will celebrate Saraswati, and this year it falls on the same day as Nyepi – March 17th. Saraswati is the Hindu goddess of knowledge, music, arts, wisdom and nature. She is symbolized by an attractive woman with a white swan among water lilies. The swan symbolizes prudence, so that one’s knowledge is able to distinguish between good and evil. The water lilies & lotus flowers are symbols of holiness. A Lontar, a traditional Balinese book that is the source of science or knowledge. A chain with 108 pieces that symbolizes that knowledge never ends and has an everlasting life cycle. A musical instrument to symbolize that science develops through the growth of culture. On Saraswati day the Balinese will bring offerings to the holy books and scrolls in their houses. Normally, students will celebrate Saraswati at school in the morning, and people who have an office job will make offerings at their office. This year will be a little different because Saraswati Day falls on the same day as Nyepi. It is thought that offerings will need o be made between midnight and 6am on the morning of the 17th before closing of home gates and doors for Nyepi to begin. In the afternoon, the Balinese are not allowed to read or write books because all the books are blessed. In the evening, people will read books (preferably religious books) at home. 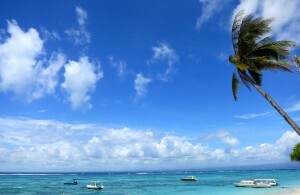 Life on Lembongan should start to return to normal after this! 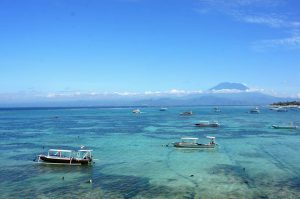 You will need to decide if you are staying in Lembongan for Nyepi or not, because the last boat out of Lembongan returning to Bali normally leaves around midday on the 16th March. Bare in mind many people may be trying to leave for mainland so book your ticket ahead. 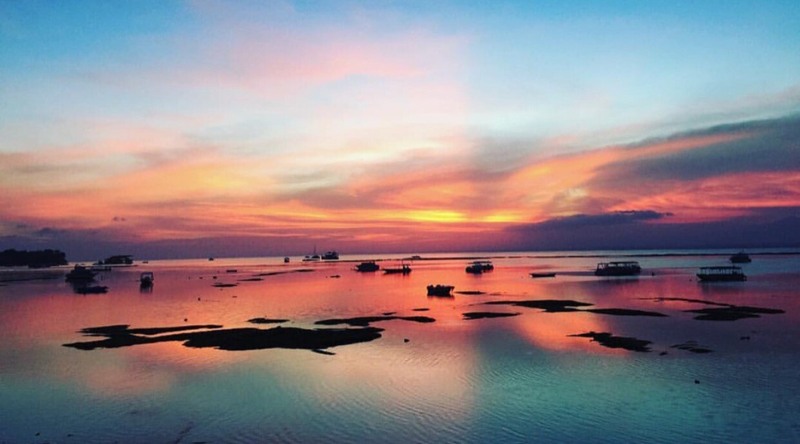 If you decide to stay, then choose appropriately your homestay or hotel as you will be there for 24 hours. Check if they will provide food for your during this time, whether there will be a drinking water supply. If not then you will need to plan ahead and visit the shops and warungs to stock up on food and drink supplies! Charge up all of your electrical goods that you may want to use during Nyepi. Once you are prepared then simply surrender to the tradition of total relaxation and self reflection while mother nature hits reset around us! It’s the most perfect experience and opportunity to be at one with the peacefulness that exists around us for 24 whole hours! I know I will be taking the opportunity to roll out my mat and practice some yin yoga and meditation! 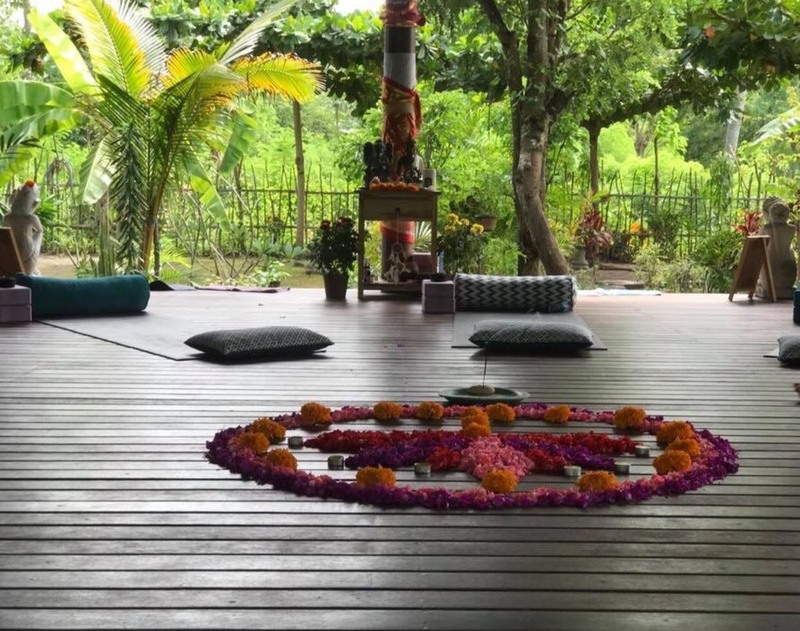 Serenity Yoga will be closing after our 4pm Sunset Flow class on Friday 16th March (your last chance to move your body, and also just in time to go and watch the Ogoh-Ogoh parade), reopening with Morning Flow at 8am and 4pm Yin Yoga on Sunday 18th March – join us to re-energise after 24 hours of peacefulness! Four days after Saraswati comes Pagerwesi! A busy week for our Balinese friends. Pagerwesi (or iron fence) is the day when the Balinese strengthen their minds and souls against evil forces (the iron fence is a representation of strong self-preservation). On this day, the Balinese focus on personal strength building. They do this to make sure that evil will not enter their mind, speech and actions so they don’t harm their surroundings. The God who is worshiped today is “Sanghyang Paramesti Guru”. This god is responsible for wiping out all bad and evil beings in the world. 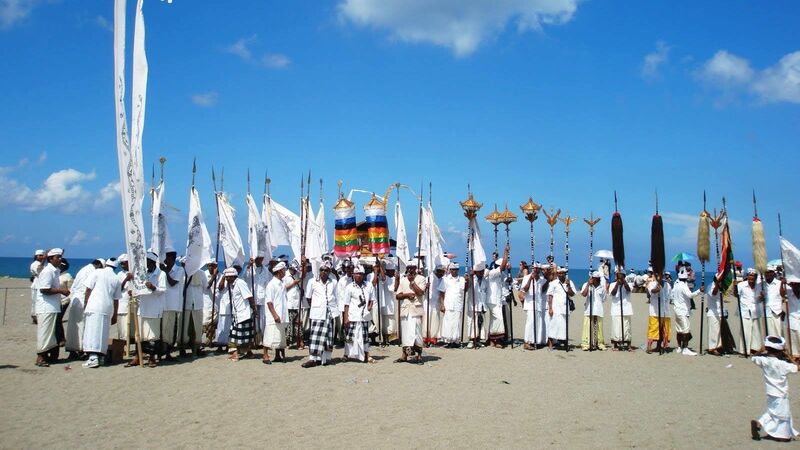 In Bali, Pagerwesi is considered a really important holiday. It is celebrated in a similar way to Galungan Day. The Balinese Hindu will pray in their houses and visit temples to show gratitude to Sanghyang Paramesti Guru. We hope you enjoyed learning something new from our blog entry today! Selamat Hari Raya Nyepi (dan Selemat Hari Raya Saraawati) yogis!